A BRAWL erupted between pet owners at Dundowran Beach following a dog attack, landing a man in court for assault. A man in his 60s fell to the ground three times at the hands of Chad Garaty, after he attempted to protect his dogs when they were pounced upon by Garaty's pets in the off-leash area. 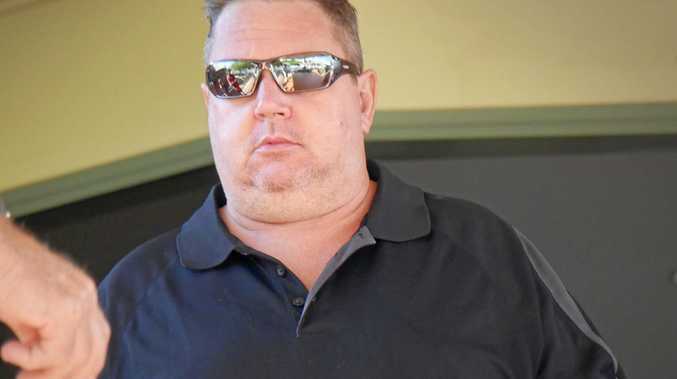 Under the impression his dogs were being assaulted, Garaty attacked the older man, Hervey Bay Magistrates Court heard. The 44-year-old pleaded guilty on Thursday to assault. The court heard that on November 20 last year, Garaty's dogs were responsible for starting an altercation with the victim's dogs after sprinting over from the Dundowran Beach carpark. Chad Garaty leaves court: He was sentenced over assaulting another man at the beach. Garaty hit the victim on the face after the man attempted to shoo away the unwelcome visitors. Garaty pushed the man back down to the ground after he tried to get up. Garaty grabbed dog leads around the victim's neck and pulled on them, making the man fall a third time. The victim's mouth was bleeding and he suffered injuries to his right ear. Defence lawyer Justin Geldard said Garaty was unhappy his dogs had been "manhandled". All dogs involved were off-leash. Garaty, who recently moved to Hervey Bay from the Northern Territory, was convicted and fined $600. 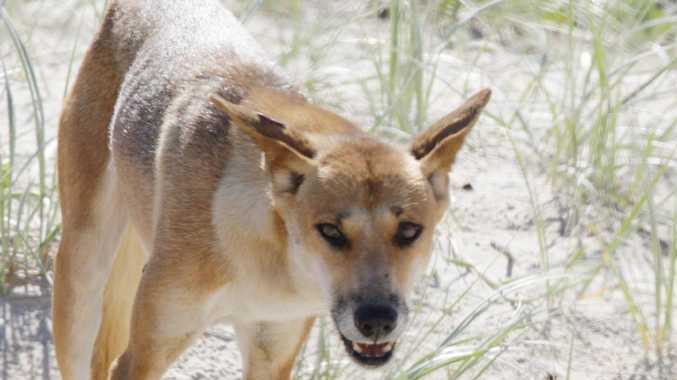 One of the Fraser Coast Regional Council's rules for off-leash dog areas is owners must control their dogs. The court heard Garaty is currently accused of other crimes including ramming a man with a four-wheel drive after an argument, leaving the alleged victim with broken bones.